What a way to close out Northeast Championship Wrestling’s 2018 Season! In the night’s main event Osirus was able to overcome the odds and get help from his friends to combat The Upperclass, allowing him to submit Todd Harris and win his first NCW Heavyweight Championship. WrestleFest XIV also saw “The Ace” Mike Montero retain his NCW New England Title against both Perry Von Vicious and “The Native American” Tomahawk, The Little Giants win the NCW Tag Team Championship from The Kool People, Dan Terry brutally turning on Vern Vicallo, Tim Lennox getting his hair cut, “RIOT” Kellan Thomas winning the Ox Baker Memorial Cup, and Kevin Castro getting a big punch to the face courtesy of Dean “The Beast” Livsley. Detailed results forthcoming, as well as the nominees for the NCW 2018 Season Awards. NCW’s 2019 Season kicks off Friday night March 8th in Dedham, MA! NCW FACE/OFF Comes to Dedham September 28th! DEDHAM—On Friday night September 28th Northeast Championship Wrestling returns to our home in Dedham, Massachusetts love from the Jacob Jones VFW Post (84 Eastern Avenue) for NCW FACE/OFF! Doors open at 7pm with a 7:30pm bell time. 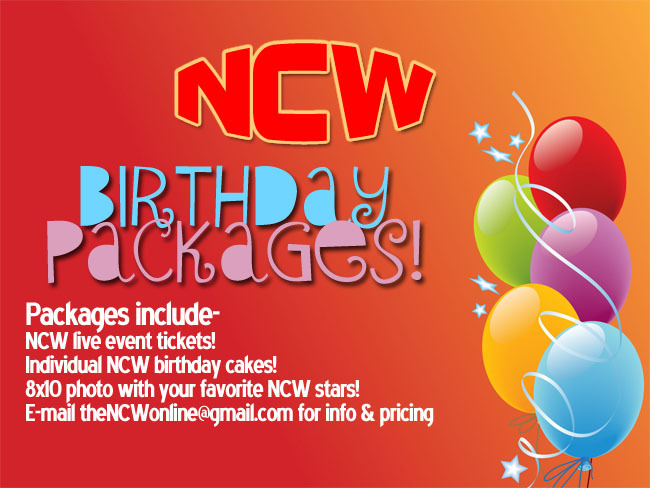 All tickets are $10 at the door, however discounted tickets are available online at theNCW.com/tickets!